Scan Film or Store offers secure document shredding and data destruction services across the UK to collect and destroy ANY media (including hard drives) and provide you a certificate of destruction to complete your audit trail. 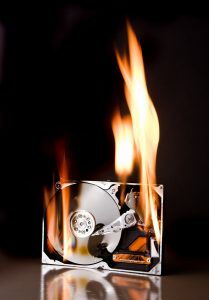 To see how just competitive we can be when it comes to data destruction then call us on 0800 008 7229 today. We operate a secure site which is monitored 24/7 and use highly trained technicians with full security clearance to BS7858 standards. Any paper documents (even if they are in archive boxes or files) We recycle all documents by cross-shredding and then pulping: the pulp is used in the manufacture of soft tissue products.All paper destruction is to BS15713:2009 standards. CDs or DVDs carrying sensitive data We shred discs into small fragments and then recycle them. Magnetic computer tape such as back-up tapes We can shred, degauss* or incinerate computer tape. Computer hard drives We log these at the point of collection to record the hard drive serial number or other unique identifier. We place them into secure crates and security-seal them. The destruction process of the hard drive and its data involves degaussing* followed by physical shredding into miniscule metal chips, which we recycle as scrap metal. Microfilm and microfiche We offer microfilm and microfiche record destruction by incineration. Due to the high burn heat and the carcinogens released during incineration, we use a certified partner for this process. However, we manage the whole destruction process, from taking the fiches or films from storage cabinets, placing them into security-sealed and bar-coded bags and transporting them to the point of incineration using our security cleared staff and vehicles. We oversee the incineration process and issue a Certificate of Destruction. Our secure destruction service can be standalone or added to our scanning and microfilming services. In the latter circumstance we only destroy original materials once you have given us written confirmation that you are completely happy with the quality and layout of the database we have supplied. 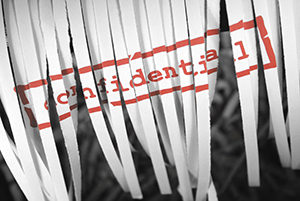 Read a case study about secure data destruction or contact us to discuss destruction services. Call today on 0800 008 7229, your consultation is free of charge.